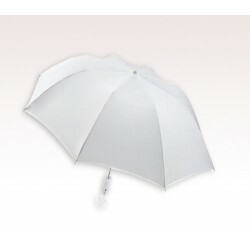 Customized 46” arc wedding favor umbrella – is a most popular wedding favor sought all over Contiguous America because it is unique, trendier, yet sticks to the theme of serene wedding. 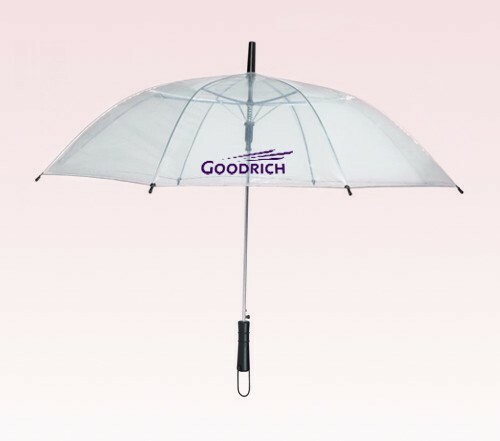 This wedding favor umbrella can call shots during the wedding with its automatic open function, metal frame and shrinks to 31” when closed. It can be carried as a fashion accessory by men and women who wish to accentuate their fineries with an extra help. This wedding favor umbrella offers imprint area of 7”W X 4 ½” – which can be creatively utilized by couples/families to express their thanking notes or wishes to guests, who made it to the wedding. Personalized 46” arc wedding favor umbrella offers shelter from rains/ harsh sunshine – and it makes a good fashion accessory once the wedding event gets over. Product & Design Quality - EVERYONE LOVED THEM! Used as gifts at a wedding in the rain! Customer Service & Shipping - Very much appreciated the shipping in a timely manner, as well as the communicationsI received about the shipping order. 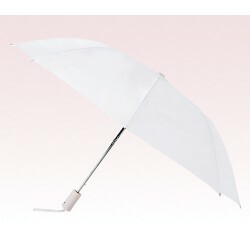 Customer Service & Shipping - Ordered 60 clear non printed clear umbrellas and had them in time for our Sunday wedding! Perfect insurance policy for the rain to hold off! Product & Design Quality - Overall great quality! Customer Service & Shipping - So pleased with the customer service and shipping. Very attentive and quick!